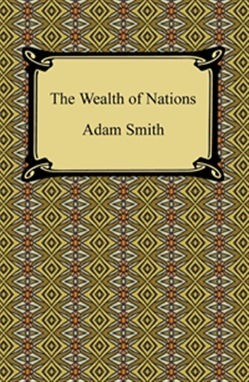 The foundation for all modern economic thought and political economy, "The Wealth of Nations" is the magnum opus of Scottish economist Adam Smith, who introduces the world to the very idea of economics and capitalism in the modern sense of the words. Smith details his argument in the following five books: Book I. Of the Causes of Improvement in the productive Power of Labour, Book II. Of the Nature, Accumulation, and Employment of Stock Introduction, Book III. Of the Different Progress of Opulence in Different Nations, Book IV. Of Systems of Political Economy, and Book V. Of the Revenue of the Sovereign or Commonwealth; which taken together form a giant leap forward in the field of economics. A product of the "Age of Enlightenment", "The Wealth of Nations" is a must read for all who wish to gain a better understanding of the principles upon which all modern capitalistic economies have been founded and the process of wealth creation that is engendered by those principles.